We possibly do not know all of the Pools in Estonia. Are you missing any? Contact us!. The ideal Estonia Pools are located mainly in large cities, but it's also easy to find public pools in rural areas. There are commonly discounts offered to senior citizens and little children for independent swim. 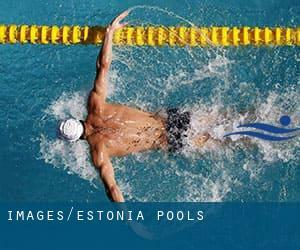 Find out by contacting your nearest pool among these Estonia Pools. Swimia.com has the most up-to-date database on the net about practically any Estonia Swimming Pool. Classified by countries, regions and cities, it's effortless to find the nearest pool at the places you visit. 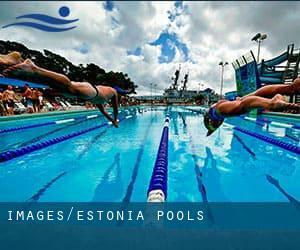 For Estonia, you possibly can have a look at the pools we have gathered for you. Swimia.com needs your feedback on Aquagym in Estonia to ensure all the info about swimming in Estonia is valid. Traveling to Estonia? This is the perfect spot on the web to find places to swim in Estonia. Each day you might be not swimming you're losing precious time in improving your skills to be a much better swimmer! No far more excuses! Discover your nearest Estonia Swimming Pool and tell us how it went. There are many factors why you must choose a heated swimming pool in Estonia. Essentially the most important one relies on the importance of keeping the body temperature stable. If the water is as well cold, your body will try to warm it up and you will lose strength to swim appropriately. Enjoy the best indoor pools in Estonia and don't worry about the weather. These facilities are open all seasons and you can enjoy a swim at the same temperature every day of the year. Swimming is a great idea to help keep your body active throughout your visit to Kohtla-Järve (Estonia), or perhaps when you are a local. Swimia helps you to find your closest Swimming Pool in Kohtla-Järve. Without a shadow of a doubt, swimming in Viljandi would be the best technique to unwind soon after work. Take a couple of minutes to browse Swimia's catalog to find a Pool in Viljandi. Whereas Tallinn is one of the six most populous cities in Estonia with nearly 394.024 residents, you shouldn't miss that one if you're going to Estonia. It's difficult to visit Estonia with out dropping by Narva (with 66.980 residents). Currently Swimia is showing you all the Swimming Pool in Narva along with the closest pools situated in its vicinity. Holding an estimated population of 44.192, Pärnu is among the most important cities in Estonia. Check all the Swimming Pool in Pärnu and its surrounding area. Let us tell you a secret to switch off when you happen to be in Tartu: just choose a Swimming Pool in Tartu and plunge into the water! There's no alot more helpful method. Randvere tee 11 , Viimsi (Postal Code: 74001). Swimmers like you reported 25 meters x 16 meters, Indoors. Phone number and e-mail address are number for this Swimming Pool. Lihula mnt. 10A , Haapsalu (Postal Code: 90507). Swimmers like you reported 25 meters, 6 lanes, Indoors. Phone number and e-mail address are number for this Swimming Pool. Ruubassaare 5 , Paide (Postal Code: 72718). This sports center delivers 25 meters, 4 lanes, Indoors. Contact information for this Swimming Pool such as phone number and e-mail address are number. Pühajärve , Otepaa , Valgamaa (Postal Code: 67406). This sports center gives 25 meters, 4 lanes, Indoors. For this Pool, only phone number is number here. Veskitammi 22 , Laagri , Tallinn (Postal Code: Unknown). This sports center provides 25 meters, 4 lanes, Indoors. Contact data for this Swimming Pool including phone number and email address are number. Sadama 9/11 , Haapsalu (Postal Code: 90502). This sports center delivers 20 meters x 5 meters, 1 meters - 4 meters depth, 1 meters - 4 meters depth, Indoors. Contact facts for this Swimming Pool similar to phone number and e-mail address are number. Tallinna tn. 60 , Turi (Postal Code: 77212). Among all the activities offered by the center, should you be thinking about swimming you will enjoy 25 meters, 3 lanes, Indoors. Just in case you desire to contact this Pool before dropping by, we only know the phone number. Punane 16 , Tallinn (Postal Code: 13619). Swimmers like you reported 25 meters x 5 meters, Indoors. Phone number and e-mail address are number for this Pool. Punane 69a , Tallinn (Postal Code: 13619). Among all of the activities offered by the center, if you are keen on swimming you may appreciate 25 meters x 4 meters, 2 lanes, Indoors. If you must make contact with this Swimming Pool, e-mail address and phone number are both number. Rakvere tee 14 , Kadrina (Postal Code: 45201). This sports center delivers 25 meters, 4 lanes, Indoors. For this Pool, only phone number is number here. Sõpruse 16 , Vinni (Postal Code: 46603). Among all the activities offered by the center, in case you are considering swimming you will get pleasure from 25 meters, 4 lanes, 1.1 meters - 1.9 meters depth, 1.1 meters - 1.9 meters depth, Indoors. If you must contact this Pool, email address and phone number are both number. Regait pst. 1 , Pirita , Tallinn (Postal Code: 11911). Swimmers like you reported 25 meters, 6 lanes, 1.2 meters - 1.8 meters, Indoors. Phone number and e-mail address are number for this Swimming Pool. Paldiski mnt. 17 , Keila (Postal Code: 76607). Swimmers like you reported 25 meters, 8 lanes, Indoors. Phone number and e mail address are number for this Swimming Pool. Järveküla tee 44 , Kohtla - Jarve (Postal Code: 30321). Among all the activities offered by the center, should you be interested in swimming you might get pleasure from 25 meters, 6 lanes, Indoors. Just in case you desire to contact this Swimming Pool before dropping by, we only know the phone number. Kesk 28 , Sillamae (Postal Code: 40232). This sports center gives 25 meters, 6 lanes, Indoors. For this Swimming Pool, only phone number is number here.